This 510-page book contains six generations of descendants of Diego de Treviño and Beatriz de Quintanilla. Their children were born in the 1550’s through the 1570’s in Mexico City and other regions of Mexico. Diego is considered to be the progenitor of the Treviño last name in Nuevo Leon, Tamaulipas, and Texas. To this date the parents of Beatriz de Quintanilla are unknown to me. I do not know much about the life of Diego de Treviño but it is estimated that he was born about 1535 in Spain and that he married Beatriz de Quintanilla in about 1557 in Mexico City. This book is about six generations of their descendants and covers the time period of the 1500s through the 1700s. It is 510 pages and is full of genealogical information that includes sources for the facts listed. Keep in mind, this book as all my others are only tools to help you build your tree. Once you discover a death date, baptism date, and or marriage date get a copy of the original. It is very rewarding to do so and you will learn more details about your ancestors. Also this book does not include every descendant of theirs since that is impossible, it only includes the ones that I have identified through documents, reliable published, and unpublished works. NOTE: Please ignore the current description on Amazon since it is wrong. This is the correct one and we are working on correcting it. This 510-page book contains six generations of descendants of Diego de Treviño and Beatriz de Quintanilla. Their children were born in the 1550’s through the 1570’s in Mexico City and other regions of Mexico. Diego is considered to be the progenitor of the Treviño last name in Nuevo Leon, Tamaulipas, and Texas. "This 510-page book contains six generations of descendants of Diego de Treviño and Beatriz de Quintanilla.". Here is the table of contents so that you can see what is included in the book. 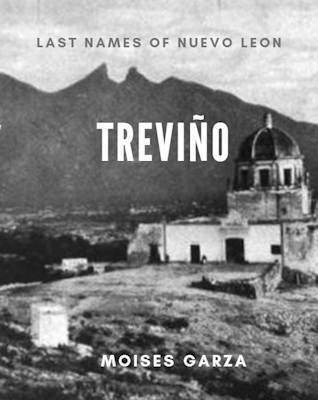 This year I plan to publish books for the most popular last names of Nuevo leon like the Garza, Trevino, Chapa, de Leon, Hinojosa, and many others. 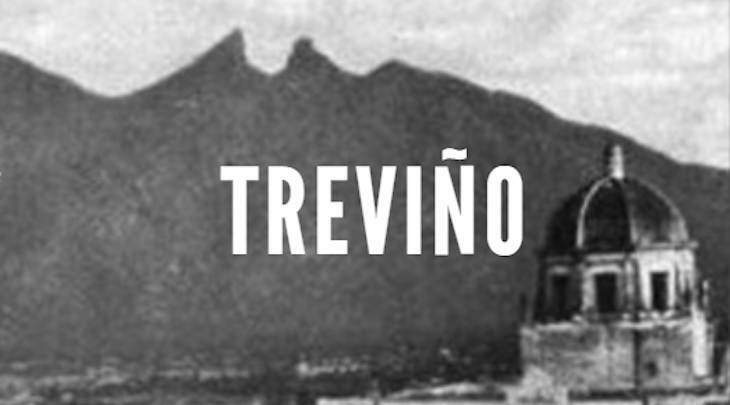 To show case and to keep all of them together I created a website titled Last Names of Nuevo Leon and the URL is this one: https://lastnamesofnuevoleon.com/ in case that you want to visit it. I will be posting coming soon books there and posting them as they become available. “I do not know much about the life of Diego de Treviño but it is estimated that he was born about 1535 in Spain and that he married Beatriz de Quintanilla in about 1757 in Mexico City.” Moises, this needs correction. I just fixed it. Thanks for the heads up.